This is the second article in the series about SaaS marketing analytics. As a recap, SaaS marketing analytics allows marketers to learn about the effectiveness and efficiency of their efforts in driving leads. There are four key metrics to be used for measuring SaaS marketing success – traffic, conversion, quality, and cost. Of these four, I am going to focus on traffic in this article. Before we get started, one small piece of advice for those of you just now getting into SaaS marketing – there is a lot of data available to you through a large variety of tools. Making sense of that data isn’t always easy, but it is absolutely critical that you do. In particular, for SaaS startups with little money, every marketing dollar needs to be put to the best possible use. So use this and other analytics ideas to create a robust measurement methodology that you can use to improve your SaaS marketing efforts. I got very lucky with my foray into web analytics because the tool I learned web analytics on used visitors as its primary metric (as opposed to sessions). In the last several years, however, the popularity of Google Analytics has made sessions the primary metric of choice. I won’t get into the pros and cons of using visitors vs sessions, but measuring performance in sessions makes a lot of sense for B2C companies where the transactions largely happen in a single session. With SaaS and B2B companies, the decision to purchase often spans multiple weeks if not months, and it involves several touches through the website and other channels such as email. 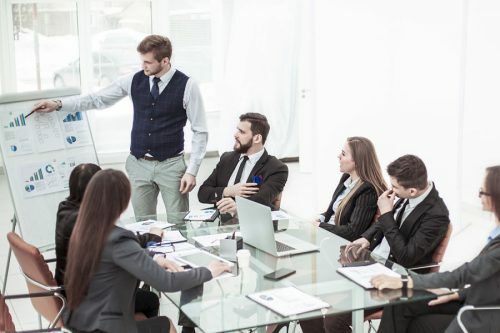 Hence, to truly measure marketing effectiveness, one must measure marketing efforts (and hence website performance) in terms of visitors who could have multiple sessions across several days before they turn into leads. As a SaaS marketer, you are probably familiar with the B2B buying stages of discovery, consideration, and decision making. Not all visitors to the website are in the same stage. Some of them are in the initial stage of awareness, while others could be in the consideration stage, and yet others in the decision-making stage. As a marketer, you need to be able to meet the needs of each type of these visitors. To do that, you need to first identify these visitors in a web analytics tool such as Google Analytics. One could argue that these visitor states are already identified in marketing automation tools such as HubSpot, so one need not worry about seeing these states in Google Analytics, as well. Read on, and I’ll explain why it is just as important to have these available in Google Analytics as well as your marketing automation tool. A visitor who has displayed intent by downloading an ebook in the past is very different from a visitor who has visited the site for the first time through an organic search result. Consequently, it is important to identify these visitors as being in different states. Consider numbering your relevant states in order of importance. 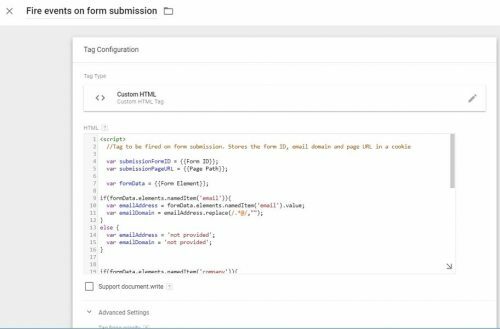 For example, Tier 1 visitors could be those who have submitted a “get demo” form while tier 2 visitors would be those that have downloaded a datasheet. Once you tag these visitors as belonging to the appropriate tiers, then you can segment traffic based on these definitions. Think about a situation where you want to understand how effective display campaigns are at bringing back recent ebook downloaders. If you don’t have a segment that separates out this tier of visitors, you will be limited to measuring success of your display campaign against all website traffic. As simple as this setup is, the value it brings to your SaaS analytics is very high. Separating out converters from non-converters is the first step to informed marketing analytics. While a web analytics tool can provide you insights into what visitors did on the site, it still can’t explain visitors’ actions. This is where a session replay tool can be very useful. Session replay tools have been fairly common and can provide a good view into the intent of visitors as they browse the site. Hotjar and Lucky Orange are two of our favorite session replay tools. In SaaS and B2B marketing, there are at least three to four key marketing tools in use. There is web analytics such as Google Analytics, then there are marketing automation tools such as HubSpot and ActiveCampaign, and finally there are session replay tools mentioned in the previous section. A key shortcoming is that, by themselves, none of the tools can provide a comprehensive view of visitor activity. With a Customer Data Platform (CDP) or a tag manager such as Google Tag Manager, it is possible to create and share visitor ids across tools, making it possible to get 360-degree views of visitor activity. This in turn help will marketers get a big picture perspective into visitor behavior on the site to improve site conversion. So far we have talked about desirable visitors who we want to improve interaction with. However, there are highly undesirable visitors who can significantly skew your website’s performance metrics and lead you to make incorrect marketing decisions. These are bots that crawl your site for a number of reasons. While there are bots such as Googlebot that you do want to allow onto your site, the majority of bots are undesirable bots that collect information for their own benefit. Bot traffic now accounts for over half of all internet traffic. While this may not seem to be an analytics issue, it actually is a significant issue to resolve. Whereas in the past, bots did not store cookies and behaved as single session visitors, bots have now gotten so sophisticated that they mimic human browsing behavior. As a result, your analytics data may mislead you to incorrect conclusions. So this problem isn’t something to ignore. 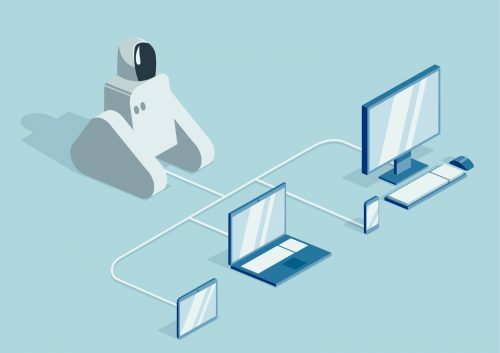 Instead, to improve the accuracy of your metrics, consider implementing a bot manager that will detect, challenge, and deny bots from crawling your website. Understanding visitor behavior on your SaaS website is the first step to building a robust SaaS marketing analytics program at your SaaS company. By using the visitor metric, segmenting visitors, and joining visitor activity from across marketing tools, and filtering out bot traffic will help you take the first steps toward building a robust view of visitor behavior.